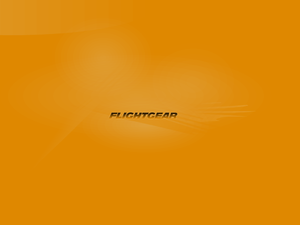 On February 17, the FlightGear development team published the v3.4 release of FlightGear, the free, open-source flight simulator. This new version contains many exciting new features, enhancements and bug fixes. Thanks to changes in the way random vegetation is managed when not visible, FlightGear can now render volumetric grass on the terrain (for instance the airport keep) using the random vegetation system without blowing memory consumption. A grass texture matching color with the ALS airport keep effect is already available, but not activated by default since it doesn't look so good with other rendering frameworks. Just as trees do, grass changes with the season and gets little nests of frost when below the snowline. With this configuration, AI aircraft bigger than 30 pixels on the screen should show up. Note There are other factors in OpenSceneGraph that decide if the Paged LOD nodes get rendered. It may sometimes take a couple of minutes or some view panning for the models to pop up. Torsten Dreyer (2015-01-26). 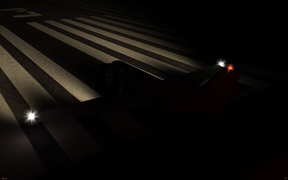 Re: [Flightgear-devel] Flightgear next (3.5.0) Does not render MP aircraft. Thanks to some work by Necolatis, Tooltips can now positioned at a specific place on-screen. position must be a hash, consisting of a y and/or x value. For a long time, the FlightGear (Sea) Harrier has been unmaintained. 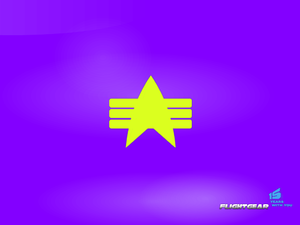 However, in early 2014, it's development restarted. Red Leader, it's new maintainer and developer, has added a host of new features to it, including guided missiles, new Nasal scripts, and a Canvas HDD. Pushback truck is now fixed and works. 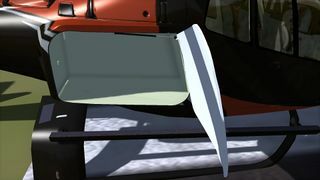 A change to the sound system so that there is no sound when FlightGear loads. The Cessna 550 Citation II, a light business jet, has received several updates, with more still to come. Ludovic Brenta and chris_blues have put in a lot of time to polish up and improve this aircraft. The Cessna Sierra Super II has also been added to the Citation II package. This is essentially an aftermarket modification of the Citation II, with new, more powerful engines giving an impressive rate of climb and greater fuel economy. We hope you will enjoy flying this little aircraft and exploring all the new possibilities it has to offer. 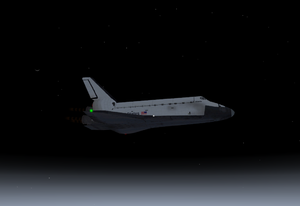 Space Shuttle Atlantis, with AC TICO at the controls. With the great enthusiasm of a few cosmonauts, the famous Space Shuttle has been largely reworked. It now comes with fully working rocket engines, main engines, orbit control and orbit manouver engines, smoke, sound, animations, and a detailed help. It will let you go up and try to hold a stable orbit at 150,000 to 350,000 ft at mach 10 up to 30. The Space Shuttle can be downloaded from the GitHub repository in either a ZIP file or by cloning. As an add-on you will get the heavily updated An-12 , An-22 , and An-225 (mission transport variants). 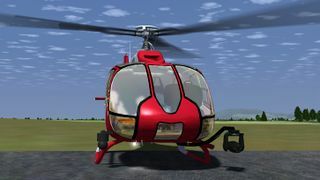 The FG 3.5 version of the Eurocopter EC130 B4 helicopter is now available. 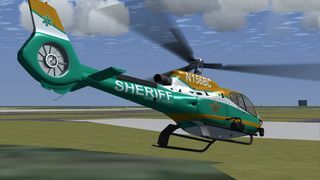 Developed by mhab, it is the first update after FlightGear 3.0, and the first made available via the SourceForge FGAddon repository. 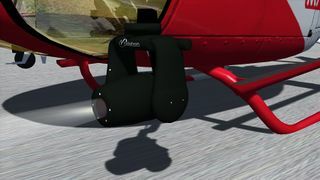 Updates include a new, fully-functional searchlight (Trakkabeam A800), three new liveries, and full Tooltips support. 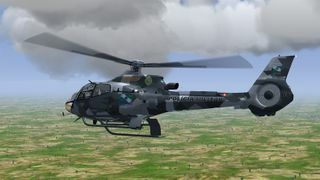 For a full list of updates, please see Eurocopter EC130 B4#Updates as of FG 3.5 version. A Canvas NavDisplay in the center MFD (you can switch back to the old non-Canvas one if you wish). 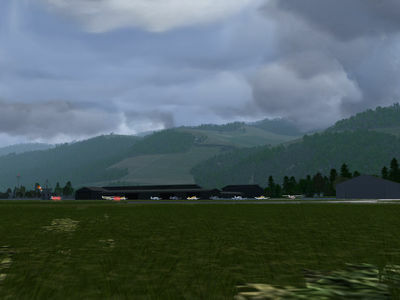 The Riesa-Göhlis Airfield (EDAU) is now available via TerraSync. This little airfield is situated in Saxony approximately 19 nm north of Dresden Airport. A special feature of this airfield is the public street between the airfield and the runway. Aircraft have to cross the street at an automatic traffic lights system. 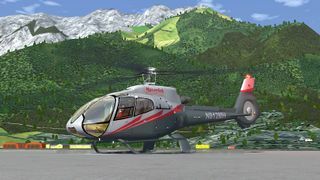 Features include detailed and photo-textured 3D models, an open hangar and a pleasant airport restaurant. From this airport, you can fly along the Elbe river to Dresden or explore the Saxon Switzerland. 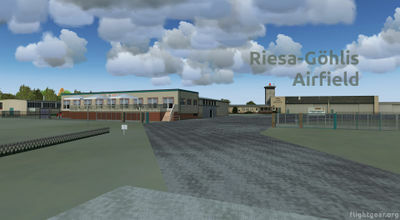 See Riesa-Göhlis Airfield#Scenery for details on how to obtain this airport. We wish you happy flying! New tutorial channel in Spanish. 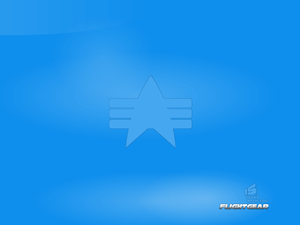 If you want some graphic elements for your FlightGear-related site (for example hangar or YouTube channel), please feel free to visit FlightGear logos for a repository of logos. And if you have some art skills, please don't hesitate to contribute with your own design creations. 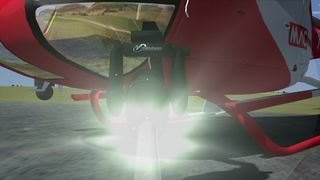 The FlightGear project always needs screenshots for the website, which show features that were added since the last release. These shots should be of good quality, especially in content and technical image properties. It is therefore recommended to use the best viable filter settings (antialiasing, texture sharpening, etc.). More info at Howto:Make nice screenshots.